Install experiments in small apartments. Commissioned by UBM | Fashion for the 2017, NYC Coterie women's fashion trade show. Two installations were created on individual mannequins. The creative brief was to design 3-D mapped projections onto the the figures and to bring life to the Coterie patterns by animation. Using a chiffon, I styled the two mannequins uniquely. 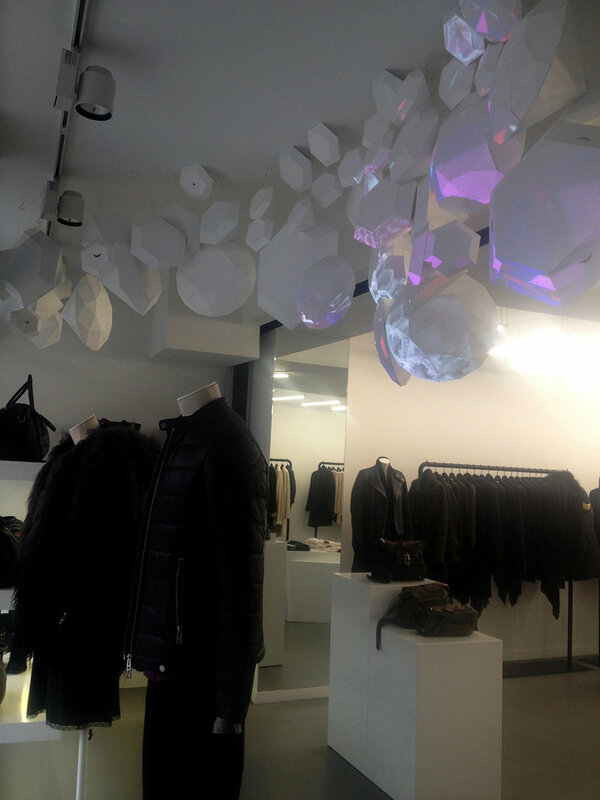 The material, when layered, created a magical affect with the projection light passing through it. The trade show occurred over three days at the Javits Center, New York City. Commissioned by Sous Style for their 2015 launch party for a new Momofuku collaboration at Kinfolk in Williamsburg, Brooklyn. I was tasked with using the Sous Style/Momofuku Milk bar pattern as digital wallpaper for the event. Using the unique construction of the interior, 3 sides of the dance floor were covered and mapped with ever-rotating, moving color and shape. Projection piece for FEAR show. Built on 9 foot wall . Submitting the winning bid, I was invited to design and execute the 2014 Zadig&Voltaire holiday window display for their meatpacking district, NYC location. I constructed and installed dozens of gem and diamond paperboard shape. 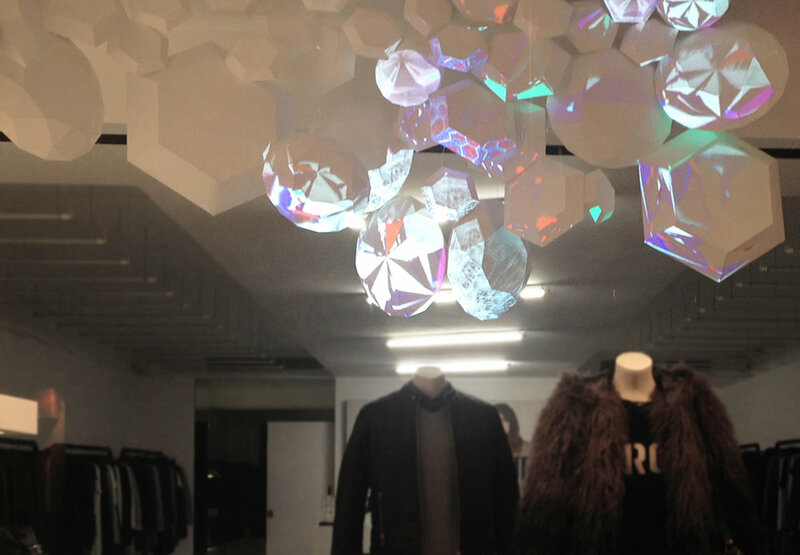 I designed and animated digital 3D gems sparkling that were then projection-mapped over the hanging shapes.